Ranking your business website on the search engines is not a very tough task, yet it needs to follow some of the best tips to achieve the same. Here we have listed the factors that will help in your business the best way possible, for your convenience. Ranking your website in Google is a heavy task, and one has to work for it always. If you are trying to rank your company site with Google, you have to know the perfect measures for it. If you follow the same, you will be able to know the tricks and will be able to apply the same. The upcoming year of 2019 is going to be very crucial for the online businesses. As so many new things have been invented and overall Google new algorithm has changed a lot. You never know, for which fault your website might get penalized. So if you want to rank your business on a local basis first, you must know the important factors of it. That way it will be more comprehensible and easy for you to manage your website. Here we have listed the best factors for the same for your convenience. 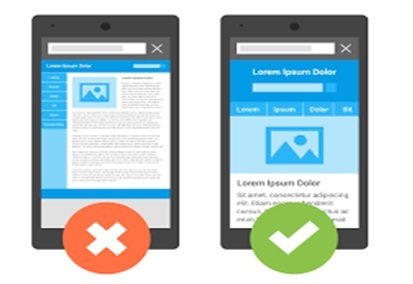 You take care of your desktop site, then you must take a note for a mobile-friendly site. You have to make this very thing sure about your business. In some recent researches, it has been perceived that most of the searches have been made on mobiles. Thus, you must understand that people actually like to find things out in mobiles. They do not want to waste much time on desktop sites anymore. So based on that you always have to acquire a mobile site for your business website. In 2019, this very mobile search thing will be viral and if you provide the same for your consumers, you will certainly get enhanced traffic. 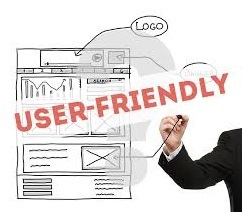 Take note that you have to make your website all user-friendly, and also take care of the speed of the web pages as well. If your website lags in the opening, it will become a very bad feature for your business. Consumers will avoid the site just for the bad speed and you might get penalized by Google Algorithm. Thus, remember this very speed thing and make your web pages perfectly user-friendly as well. It will help the customers to search out the products they are looking for and they can have a good payment experience. Make sure to add a review section for your consumers. It will always help your website rank higher than before. You have to check for the ranks and the user experience you are getting from your services. This way more people will be attracted towards your website, because people always for the best reviews, and it will help. As you know, nowadays people are getting attracted to voice search thing. So whenever you are providing services locally, you must add this voice search thing for your website. This will enhance the popularity more than anything. Go for the above-mentioned points, and take help from the same in the local ranking. These will help you the best in the upcoming year. Author Bio: This is Naveen Kumar the CEO and founder of JDM Web Technologies. Being an expert in Google Adwords and Google Analytics Certified accompanied by 10 years of experience in the field of SEO, Digital Marketing, PPC and ORM, We are Local SEO Packages and I can provide you with the SEO Services. I also have a team of highly professional and knowledgeable digital marketing experts who can serve you with the best quality services you can ever expect.